The episodic game series follows Jesse and friends, who set out on a quest to save the world from destruction. 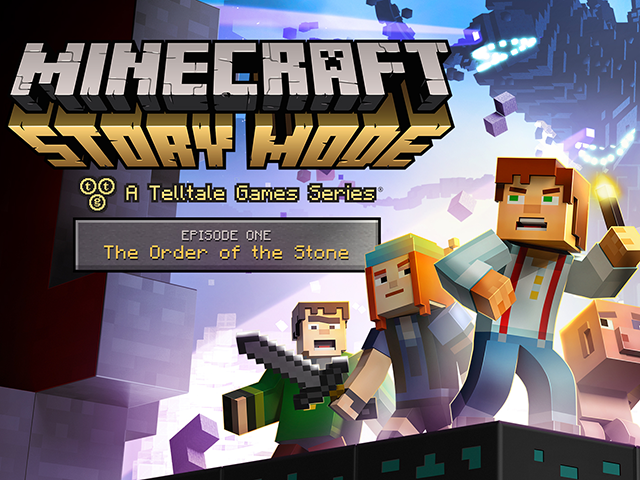 Telltale Games has released the first episode in its new point-and-click adventure series, Minecraft: Story Mode, on mobile devices. Created in partnership with Minecraft developer Mojang, this first of five episodes introduces players to main character Jesse and his/her friends, who set out on a quest to save the world. In this first episode, The Order of the Stone, players take on the role of Jesse, but can choose their character’s gender (as well as one of three appearances for that gender) before the game begins. The game’s first episode sees players attending the EnderCon convention, where Jesse and friends encounter a suspicious man who unleashes a terrible monster on the world. To save the world from destruction, Jesse and friends must go on an adventure to find the ‘Order of the Stone,’ a group of legendary adventurers who once defeated an Ender Dragon. Minecraft: Story Mode allows players to choose dialog responses for Jesse during conversations, with their choices impacting Jesse’s relationships with other characters in the game, and the way the story ultimately unfolds, not only in this first episode, but in the entire series. When the game comes to an action sequence, players’ reflexes are tested as they must quickly respond to cues to help Jesse avoid danger. Since the game is based on the popular Minecraft building game, crafting moments are also featured here, as players can use their knowledge of Minecraft’s crafting recipes to create objects like swords, bows and arrows (as examples). If players are unfamiliar with the Minecraft recipes, the game also provides the recipes so players can progress. At the end of the episode, players are shown percentage point comparisons for the major decisions they made while playing, which allows them to see how many players made the same choices. The first episode of Minecraft: Story Mode is now available to download for $4.99 on the iTunes App Store, Google Play and the Amazon App Store. The game is also available on home consoles, PC and Mac.